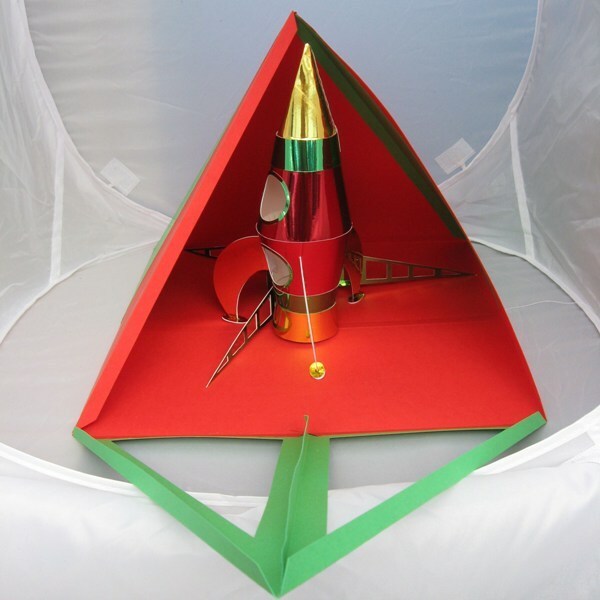 Young boys will love this Rocket or Spaceship, whichever you prefer to call it. 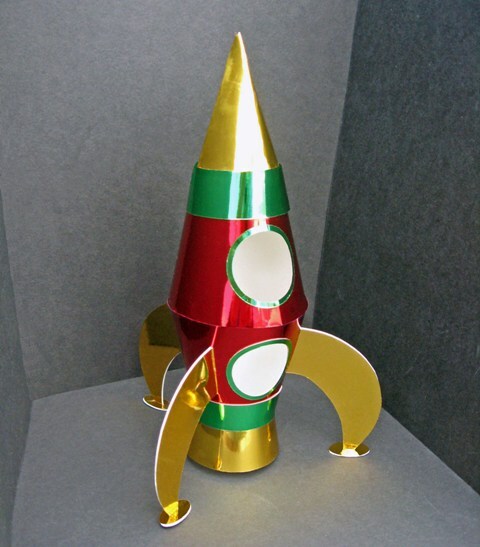 This would be the perfect craft template to make for all little boys as most boys dream of going into space and this rocket would be an ideal birthday gift. 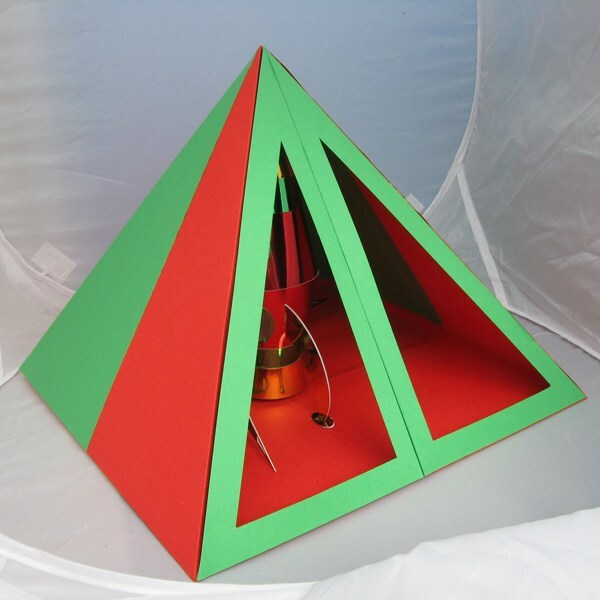 The template for the triangle box is also included, its very large. 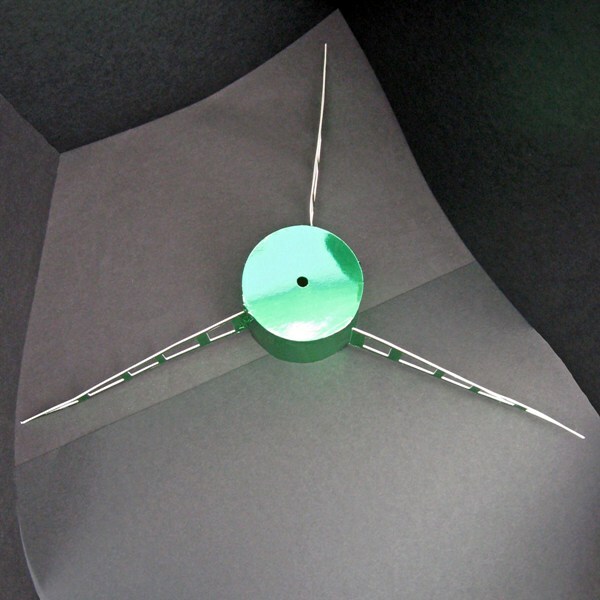 Approximate measurements of the rocket:- 21cm in height x 14cm square at the widest point. 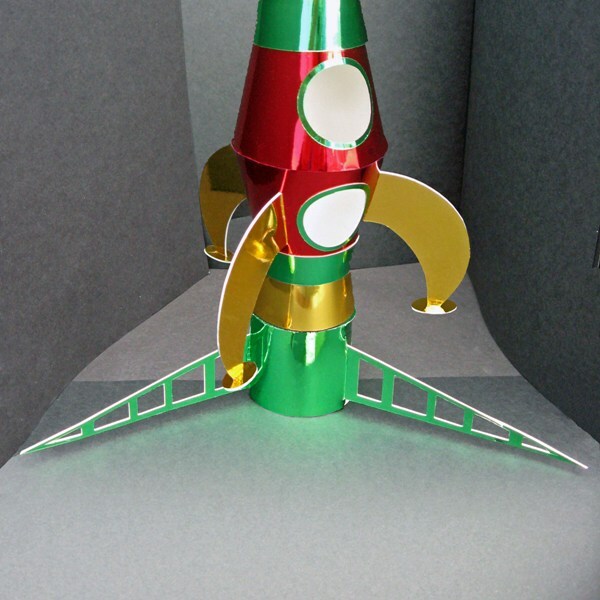 Approximate measurement of the launcher:- 4.5cm in height x 25cm square at the widest point. So together the overall height is:- 25.5cm . Approximate measurements of the box:- 26cm in height x 28cm square.